Ms. Nooshin Mehrabani was born in Iran and worked as a reporter for Iranian National Radio and Television. She continued her career with an Iranian TV station after moving to Los Angeles, USA. Since 1991, when she first heard about Sai Baba, she has made many trips to India and has been blessed with several chances of interaction with Bhagawan. She now lives in Puttaparthi which she calls as her 'home'. She has also authored the book “Love and Suffering” which is the telling story of her journey to Swami. 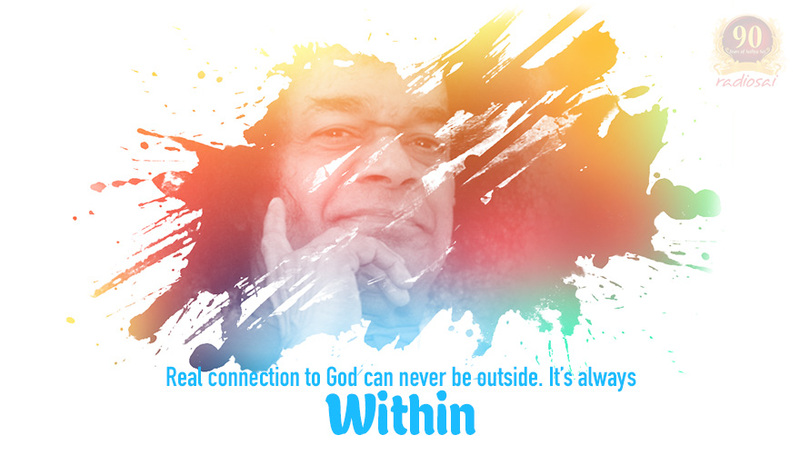 Our Beloved Swami, during His eighty five years of earthly life, connected with millions of people. As Swami said, He used His calling card of love to call His devotees to Himself and they came. All those beautiful darshans, heavenly interviews, profound dreams and unimaginable miracles were to awaken our soul to the Truth of our own Divinity. Still, for many, their relationship to Sathya Sai Baba was body to body; they could not see the Formless God that was residing and doing everything in that charming body. People called Him Bhagawan using their heads and not their hearts. For the same reason it is hard for many to accept or believe in Swami’s departure from the body. God’s creation, without a doubt, does help us to find our connection with Him, but every connection outside ourselves and in the physical level is temporary. Attachment to anything outside – whether it is the gross body or light body or any other body – can stop us from finding a permanent relationship with Him. 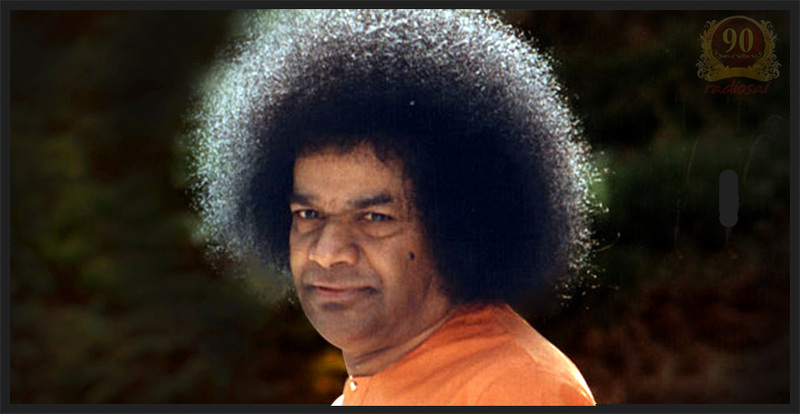 I am challenged to choose the right word to describe Sathya Sai Baba as, in truth, it is impossible. That is why Swami has said that the language of spirituality is silence. For instance, we choose the word “resurrect” for the form of God called Jesus. But God is not the body to resurrect. He is infinite existence – He is never born and never dies. Body can resurrect. God never disappears and is always with us and within us. Many devotees do not have enough confidence in their permanent relationship with Swami – they need a mediator and will go anywhere and to any extent to connect with Him. They are not confident to believe that they have the same ability to connect to Him within themselves. Real connection to God can never be outside. If we look outside it is only a mirage. Any experience which is connected to our senses is only a reminder of the permanent connection inside. Everyone has their own path to God, but when I see behaviour that, to me, is the opposite of Swami’s Teachings, I cannot keep silent and then strive to help others discriminate the right from the wrong. Thousands of books are written about Swami from people’s personal experience. He Himself delivered countless discourses. If someone wishes guidance from Swami, they need to only study the words He spoke when He was here on Earth and pray for Him to give understanding of those teachings. Take that one step towards Him and He will take the one hundred towards you. In this way, you learn to believe in yourself as God. When you chase after other forms, seeing them as more important than your own, you are in danger of developing a wrong understanding of spirituality and becoming lost again in the world of maya from which Swami has come to rescue us. Swami is the Eternal Witness. He is reflecting who we are. When it comes to having a relationship with Him, I personally don’t want anyone in-between. I always tell Swami, “If You want to give me any message give it to me Yourself.” I put Him in a position which has only one choice. I don’t want a mediator. I don’t need a light body now that I am unable to see His physical form. I would rather feel Him inside. Isn’t that what He always wanted? Isn’t that the destiny of every soul? For us to grow and lose attachment to this temporary body? So we should have confidence in the reflection Swami has given to the world in His over 85 years of life. For God realization, self-confidence is the First Step. I would like to share with my dear Sai Family the important story which gave me so much insight and knowledge about the permanent relationship with Beloved Swami. I pray this will help others. I wasn’t worried at all. I asked Baba, “How long I am going to live?” He replied “ Loooong!” On hearing this I wasn’t very happy. Wondering why Swami thinks living long is good I asked, “Can you take me with You when You leave the body?” He just looked at me silently. I told Swami, “I will pray so much that You may change Your mind and take me with You.” He gave no answer, only motioning for me to take padanamaskar. Then I woke up. Did my subconscious know that He was leaving His body? What did He mean by living long? Whatever Swami says has many meanings. I was hoping He was referring to my Atma which is eternal. I looked at my clock and it was 6:02 am. I felt elated, blessed and happy to be worthy of His Love and Grace, while at the same time I reflected on how Swami helped me with my stroke. In the afternoon all the devotees and especially the Chinese were waiting to chant Buddhist prayers in Swami’s Presence. After a long wait they brought Swami’s chair and performed Arathi. This of course meant that Baba was not coming. Everybody was disappointed and surprised. They were hoping that on February 9 they would be able to perform their program. I was very anxious to know why Swami didn’t come. The next day after 7pm Swami arrived in the car. Only the car door opened and the Pujari did Arathi while Swami was sitting in the car. Everything was unexpected and the driver took Swami to His residence. I got a shock of my life. I saw that the left side of His face was paralyzed; it looked like He had had a stroke. I remembered my dream and started to cry. I asked Him if it was my stroke that He had taken on to Himself. I felt guilty and angry at the same time. His beautiful face was so important than my trivial and inconsequential body. Over the next few days Swami gave darshan with a fragile body, but no Chinese New Year was celebrated that year. After a week of suffering I was not enjoying the darshan. I felt I needed to be alone. A strong awareness guided me to go home and be in complete silence and only pray. I informed the Western Canteen, where I was doing Seva, that I would be taking time off. I stayed alone in silence for 40 days, only praying. During those 40 days I did not have a Swami dream which was unusual as I was used to having a dream of His at least twice a week. After 2 weeks of complete silence I felt so much joy and peace. Even though Swami's body was 5 minutes away from me I was losing attachment to that beautiful form. I felt blissful in my heart as I felt Him within me. Realizing that I had found the permanent connection with my Beloved made me so happy. Through this experience I understood Swami’s teachings better. How many times has He told us that He is not the body? We hear, but do we make enough effort to go deeper in our heart and seek Him there? Body attachment makes it difficult to go deep within and find the source of true joy. I am so grateful to my Beloved Swami, who gave me the biggest gift of my life: By creating the drama of my stroke and propelling me to go into many days of silence and prayers – I was saved. I had strong faith and believed that my relationship with Him was always Heart to Heart, one to one, without any medium. If you are hungry, nobody can eat for you. 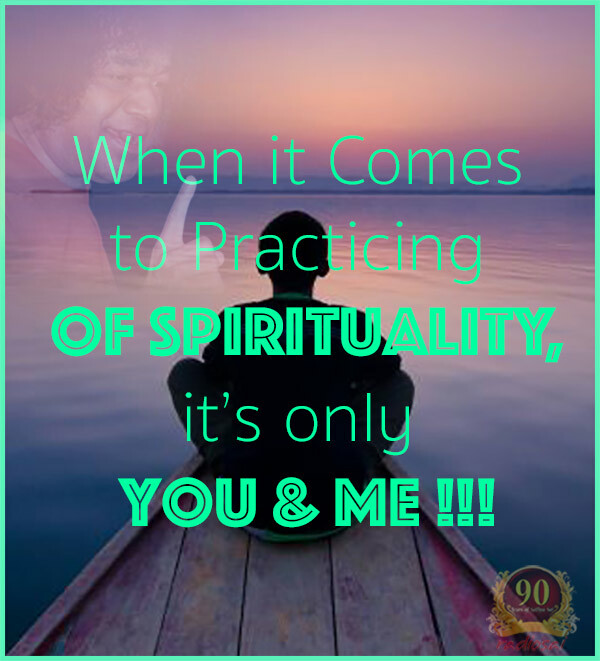 In the same way, if someone else sees or talks to Swami for you this cannot not satisfy your spiritual hunger – and worse, you might lose confidence in your own ability to connect with Swami within yourself. By relying on someone else there is a danger of becoming spiritually dependent. Spirituality is not an outside show. Swami has never approved of publicity. In fact, this is poison for a spiritual aspirant which is why God seekers live their lives quietly and run away from controversy. They don’t want praise or to feel important. We are so fortunate to be born in the era of the Avatar and have God as our Teacher. Once Swami was asked why He repeated the same discourses over and over again. He answered, “Because devotees do not listen to what I say.” Many are not still listening. All the prophets who came from God brought the message of love and unity. Islam was one religion, but after demise of Prophet Mohammad, ignorance and ego took over the minds of the followers and the religion got divided; the result is that those who are actually brothers and sisters become enemies, unwilling to remember the connections of the past. This is true for other religion as well. When unity is in danger, ego takes the whole stage. It means we have not learn from past or present. I know one thing for sure, whatever has not been built or fostered on the foundation of Truth will crumble one day. Our beloved Swami, with infinite love, laid out the Sri Sathya Sai Organisation for His children to grow spiritually and work together in harmony and unity to spread His message with pure hearts not calculating minds. We are here to keep His legacy, not to make a legacy for ourselves. In our spiritual journey all of us who still feel important should shed the ego and become nobody and 'no-body'. By following these principles the faith within us becomes stronger and we become a true reflection of His teachings. God bless us all!